Nautical by Nature: NATE or CHUCK??? Chuck all the way!! Tonight was so good I can't believe it won't be on again for a couple weeks!! oh my gosh I have so much catching up to do! but personally, I think Chuck and Blair are a deliciously evil couple. Nate, Nate, Nate. Chuck is too evil creepy for me. OMG I know... I vote for Chuck, they just seem like a perfect pair! I used to totally hate chuck, but when it coems to Blair, I'm all for her and Chuck! im definitely a chuck fan!!! CHUCK! I like the bad boys.. Nate is too nice and plays such a victim. I had been team Chuck, but after his little tango with Vanessa, who lets face it needs to make a departure soon, I am liking Blair and Nate again! Chuck does know how to dress! Chuck! B needs him to keep her on her toes! Nate, let Chuck be with Sirena's ex-friend - can't think of her name! love the show but it's really turning into a love triangle like the one from the o.c. - that's okay, the show still rocks! I don't watch the show (I know, I know....), so I am going to have to go with the guy in the top picture. Much cuter. I love Nate (he's so cute!) but, lately I have have a soft spot for Chuck. Oh my gosh, absolutely Chuck. He's too damn hot. I was a total Nate fan (still am) but i'm kinda enjoying Chuck lately...such a toss up! Oh, definitely Chuck & Blair!!! Gotta be Nate for me. Just watched last nights episode. I'm liking Blair and Nate together. Chuck played too many games with her. Chuck....UGH. Life is so boring with Nate around! 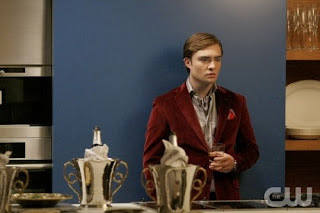 I've got to go with Nate's fashion sense this episode-loved that crest blazer but Chuck for EVERYTHING else! Chuck! Gotta love the bad boys. Nate. He's just so pretty! 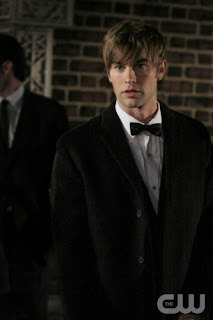 I do love Chuck Bass, but I REALLY love Nate.